Sky Scarf: January through May skies. 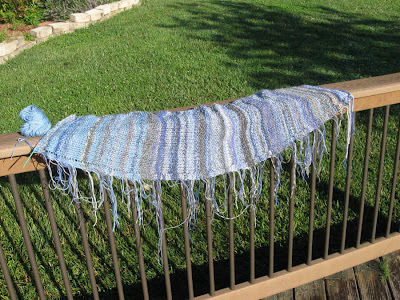 The 5 month Sky Scarf project is now over 21 inches. In the last two weeks of May, gardens and lawns benefited from light gray skies and periodic rain storms. The last few days brought us 90-degree weather and pale blue skies with scattered clouds. Summer is on the doorstep.